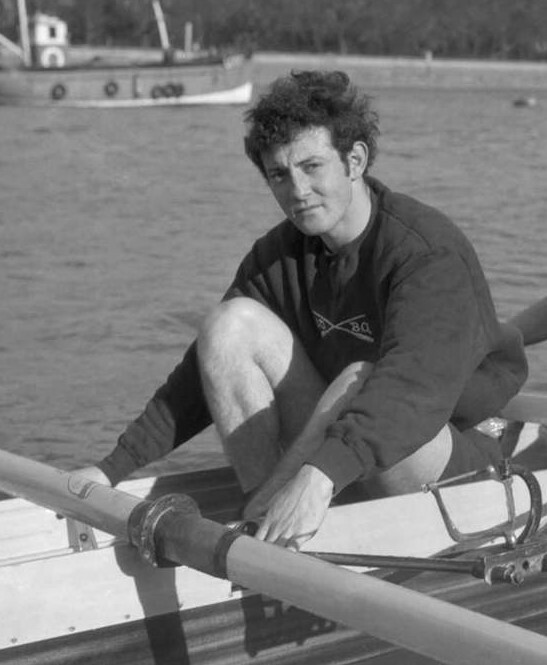 One of the ‘husky oarsmen’ in the 1968 Oxford crew, Dan Topolski (though this picture was taken in 1967). Topolski would later become one of the Dark Blues’ most famous coaches. While articles are published on the crews of Oxford and Cambridge for the Boat Race Day, articles about the race and the crews will also show up where we least expect it, Göran R Buckhorn finds out. The other day, I received a little parcel with a book in the mail. 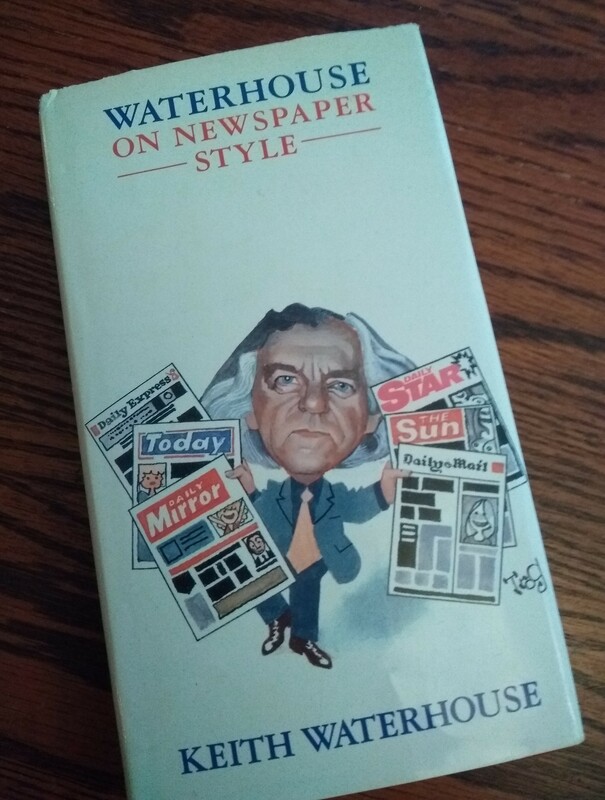 I had visited an antiquarian bookseller’s web site, and there I found an interesting book by journalist Keith Waterhouse (1929-2009). Waterhouse was the author of a number of novels and plays, including Billy Liar and the hilarious Jeffrey Bernard is Unwell. I have several of Waterhouse’s books, and, liking his style, I ordered the book I found online, Waterhouse on Newspaper Style (1989). Waterhouse started his journalism career at the Yorkshire Evening Post before moving to London, where he became one of Fleet Street’s legendary columnists, first at the Daily Mirror and later for the Daily Mail. While at the Mirror, Waterhouse wrote a style book for his colleagues. He left the Mirror for the Mail in 1986, as he objected to Robert Maxwell’s take-over of the Mirror. In 1989, Waterhouse on Newspaper Style was published. The book became an essential textbook for journalists working at any of Fleet Street’s broadsheets and tabloids. 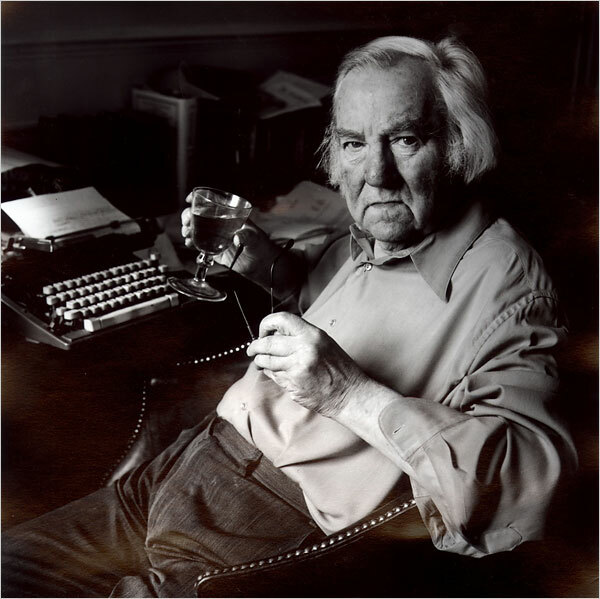 Keith Waterhouse with his two most important ‘tools’ while writing, his Adler typewriter and a drink. He had contempt for computers and would continue to write his newspaper columns, books and plays on his beat-up typewriter till he was forced to stop working due to ill health in May 2009. He died in September that year. The AAAA has two simple goals. Its first is to round up and confiscate superfluous apostrophes from, for example, fruit and vegetable stalls where potato’s, tomatoe’s and apple’s are openly on sale. Its second is to redistribute as many as possible of these impounded apostrophes, restoring missing apostrophes where they have been lost, mislaid or deliberately hijacked – as for instance by British Rail, which as part of its refurbishment programme is dismantling the apostrophes from such stations as King’s Cross and shunting them off at dead of night to a secret apostrophe siding at Crewe. Among the examples, he continued to write in the column, were ‘as some editor’s will know’ and ‘How the Council Spends it’s Money’ and many other ‘atrocities too gruesome to describe while you are eating your Danish pastries’. What is facetiousness in newspapers, and what is it for? The most accurate definition is probably that it is a form of sustained banter. It joshes the reader from sentence to sentence, rather like an old-fashioned club comedian. […] this probably stems from the deep-seated fear of a once secure profession that its readers would probably rather be watching soap operas than reading their newspapers. The object is to entertain at all costs. The story should be effortless to read, which means it must look as if it was effortless to write. Such, anyway, is the theory. Waterhouse then comes to an example of an article in this chapter, saying that the story was accompanied by two photographs of the two boat race crews, ‘Cambridge conventionally clad, Oxford stripped to the waist’. plenty to beef about before today’s race. and setting their muscles a-ripping. But Cambridge decided to play it cool. If they succeed, it will be an upset. In less than 140 words, this item has managed to incorporate just about every fault and flaw in popular journalism discussed in these pages [of the book]. As a newspaper report, this extreme example is, of course, 95 per cent padding. In twenty-six lines of type, half of them double-column, it contains one new fact (the betting odds). It contains two old facts from Whitaker’s Almanack (Oxford has won three in a row; last four in a row was 1912). The rest of the story simply consists of words loosely evocative of Boat Races that happen to have been put together in this particular order, but which could have been put in any other order and still made as much sense – which is to say, not much sense at all. It is clear that some unfortunate journalist was here given the task of making something out of nothing. It can be stated as a principle that the less there is in a story, the higher its facetiousness content. It is interesting to see how Waterhouse is using an article about The Boat Race as an example of ‘fault and flaw in popular journalism’. Waterhouse never mentions in which newspaper this Boat Race piece was published or which year. However, the article gives us a couple of clues about the latter – that Oxford were the favourites to take their fourth consecutive victory since their four wins in 1909, 1910, 1911 and 1912. Looking in the Boat Race record books, the year this article was published must be in 1968 (on 30 March), as the Dark Blues won in 1965, 1966 and 1967. For the 1968 race, Oxford was coached by Jumbo Edwards and Ronnie Howard. Cambridge had a larger coaching team, which included Lou Barry, Donald Legget (who is still on the team today! ), Mike Muir-Smith, Derek Drury and Arnold Cooke. The umpire was the 1932 Olympian Harold Rickett, who rowed for Cambridge in 1930, 1931 and 1932. Two of the oarsmen on the Oxford and Cambridge crews would continue to rowing fame, Cambridge’s Patrick Delafield, who was a runner up in the 1970 Diamonds at Henley and the winner in the double sculls (with Tim Crooks) in 1972. That year, Delafield and Crooks came fifth in the boat class at the Olympics. Oxford’s Dan Topolski took a world championship silver medal in the lightweight fours in 1975 and a gold medal in the lightweight eights in 1977. He would also become one of Oxford’s most renowned coaches. How did it go in the 1968 Boat Race? Cambridge won. There were some other similarities in 1968 with this year’s races: Cambridge’s reserve crew, Goldie, won their race over Isis and Cambridge women won their race. In 1968, the women did not have reserve crews competing against each other. Very interesting, wonderful character! Association for the Annihilation of the Aberrant Apostrophe (AAAA) – I love it!